Members of the Baseball Writers Association of America (BBWAA) were given authority to select individuals from the 20th century; while a special Veterans Committee, made up of individuals with greater familiarity with the 19th century game, was polled to select deserving individuals from that era. The intent was for 15 honorees to be selected before the 1939 ceremonies - 10 from the 20th century and 5 from the 19th; additional players from both eras would be selected in later years. 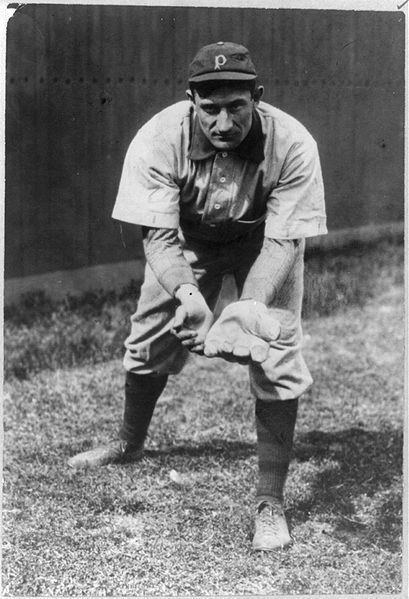 Voters were given free rein to decide for themselves in which group a candidate belonged, with neither group knowing the outcome of the other election; some candidates had their vote split between the elections as a result - Cy Young, the winningest pitcher in history, finished 8th in the BBWAA vote and 4th in the Veterans vote. In addition, there was no prohibition on voting for active players, a number of whom received votes. 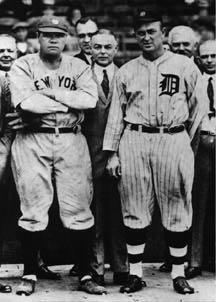 Individuals who had been thrown out of baseball - such as Shoeless Joe Jackson and Hal Chase - were also not formally excluded, though few voters chose to include them on ballots. In the BBWAA election, voters were instructed to cast votes for 10 candidates, the same number of desired selections; in the Veterans' election, voters were also instructed to vote for 10, although the desire for only 5 initial selections led to revisions in the way the votes were counted. Any candidate receiving votes on at least 75% of the ballots in either election would be honored with induction to the Hall upon its opening in the sport's supposed centennial year of 1939. Among baseball fans, "Hall of Fame" means not only the museum and facility in Cooperstown, but also the pantheon of players, managers, umpires and builders who have been named to enshrinement there. The first five men elected were superstars Ty Cobb, Babe Ruth, Honus Wagner, Christy Mathewson and Walter Johnson, named in 1936. As of 2004, 258 men had been elected or appointed to the Hall of Fame, including 210 players, 17 managers (many of whom also played), eight umpires, and 23 builders, executives, and organizers. Twenty-six men have also been awarded the Ford C. Frick Award for excellence in broadcasting, while 55 have received the J.G. Taylor Spink Award for excellence in baseball writing. Players are inducted into the Hall of Fame through election by either the Baseball Writers Association of America (or BBWAA), or the Veterans Committee, which is composed mainly of former players (specifically, Hall of Famers). Five years after retirement, any player with 10 years of major league experience, who passes a screening committee (which removes from consideration players of clearly lesser qualification) is eligible to be elected by BBWAA members with 10 years' membership or more. From a final ballot typically including 30-50 candidates, each writer may vote for up to 10 players; until the late 1950s, voters were advised to cast votes for the maximum 10 candidates. Any player named on 75% or more of all ballots cast is elected. A player who is named on fewer than 5% of ballots is dropped from future elections. In some instances, the screening committee had restored their names to later ballots, but in the mid-1990s, dropped players were made permanently ineligible for Hall of Fame consideration, even by the Veterans Committee. A 2001 change in the election procedures restored the eligibility of these dropped players; while their names will not appear on future BBWAA ballots, they may be considered by the Veterans Committee.